Every time I share this story of Sa Mei and myself meeting in 2007, and coincidentally reuniting in 2017 I’m amazed and inspired by the power of photography to connect. 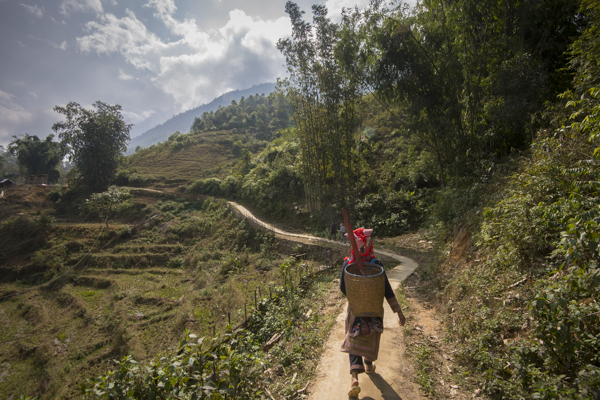 Sa Mei is a member of the Red Dao hill tribe and lives in a small village about a days walk outside of Sapa, Northern Vietnam. 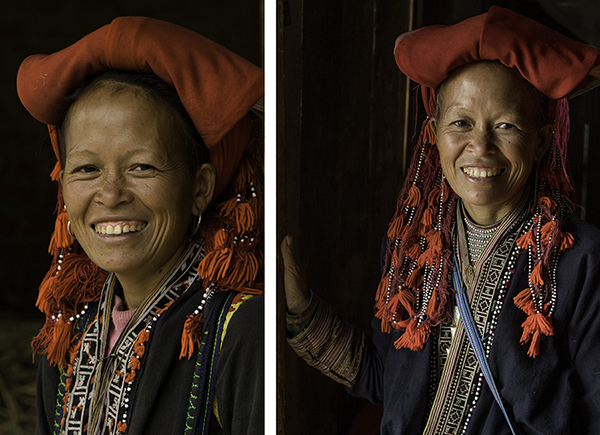 We had met her in 2007 on the trail, and I was taken by her warm smile and welcoming face, asking her to pose for a photograph. 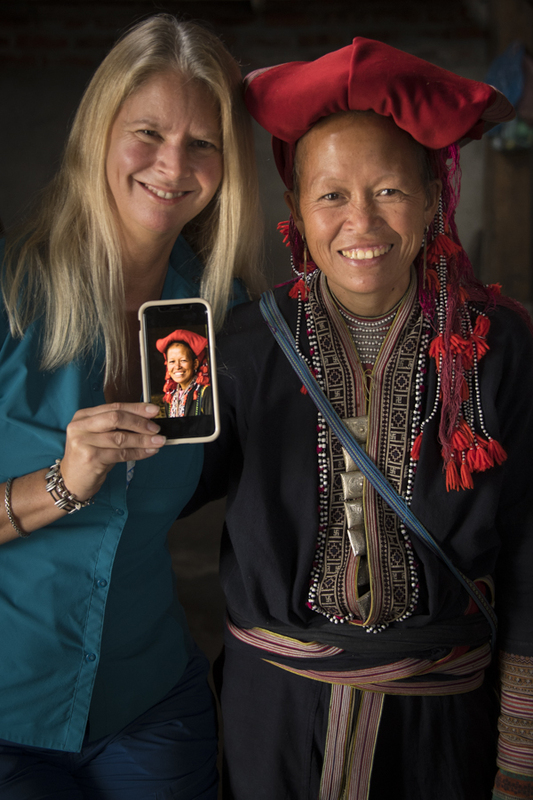 We only had about 30 minutes to connect, and limited English to communicate initially but she made an impact on me and I saved her photo on my phone. In 2017, we were back in the same area leading a small group of photographers on a tour when we happened to run into Sa Mae on the trail. As you can see from the two photographs, she looks nearly identical, but I wasn’t sure it was her until I pulled up her portrait on my phone to compare. When I approached her and shared this portrait she was of course surprised and I’m sure uncertain of who I was, then nearly began to cry as she examined the photograph and we began to share memories of this encounter. Sa Mei and I shared stories of our lives the past decade (she has become more fluent in English with the influx of tourism & in fact speaks 4 languages), and we discovered that we were the same age though have led very different lives. As she walked along the trail with our group I learned she is a grandmother and has a small farm where she lives with her husband and her son and daughter in law and grandchildren. When she invited our group to join her family for lunch we happily changed our schedule and met her the next day at the trailhead. 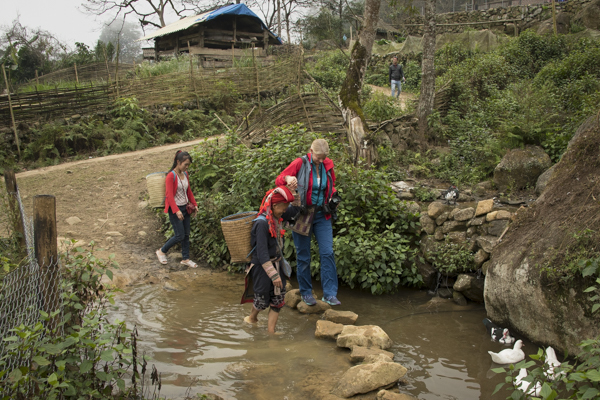 Sa Mei and her daughter in law guided us along the paths to her village, about an hour walk outside the main tourism trekking areas to a delightful village we would have never discovered on our own. 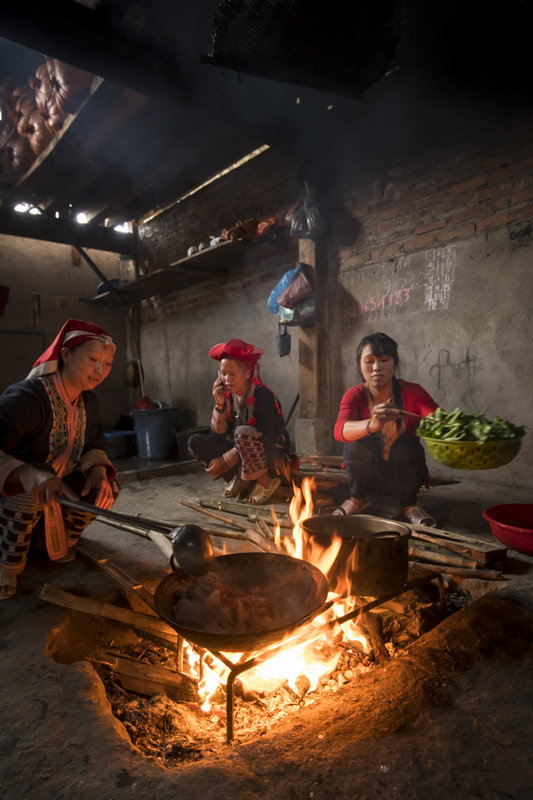 When we arrived we were greeted with a bountiful welcome – the family had gathered the equivalent of a thanksgiving feast including fresh vegetables and poultry from their farm and a freshly slaughtered pig all being cooked by the family on open fire in the middle of their house.